Whether “fancy coffee” is an occasional indulgence or something you need to have every day, it’s good to know the best coffee syrups for flavored coffee fans so you can have at least one or two on hand. Do you like sticking with the classics, like vanilla and caramel? Or do you prefer to get experimental with your morning (or afternoon) brew, with flavors like lavender-honey and pistachio? There are excellent syrups for every preference. I won’t list each price individually since most of them are just under $10.00 per bottle. By shopping around or buying several bottles at a time, you may be able to find a better deal than that. You can either pick up a variety pack or a pack of two or three of the same flavor. It’ll depend on the brand and possibly seasonal availability. Torani Classic Caramel: It’s buttery and a bit fruity, and it’s sweetened with pure cane sugar. Upouria French Vanilla: This is sweetened with sugar and is sweet and creamy. Upouria Caramel: If you love the traditional caramel flavor, this one’s a good option, sweetened with sugar. It has a toasted sugar and butter flavor combination. Monin Pure Cane Syrup: Just want the basics? This is it. Pure cane syrup. DaVinci Gourmet Classic Coffee Syrup in Vanilla: It’s sweet, smooth, and made with pure cane sugar. Torani Hazelnut Syrup: Chocolate and hazelnut are a fantastic combination, even in coffee. Or you could try hazelnut by itself. Or with vanilla. It’s versatile. It’s sweetened with pure cane sugar. Torani Peppermint Syrup: I wouldn’t personally use this one alone, but mint is fantastic when mixed with chocolate sauce in cold or hot drinks. Have you ever gotten an iced caramel macchiato and enjoyed that thick caramel sauce at the bottom? The Ghirardelli sauces can help you recreate that experience in caramel, chocolate, or white chocolate. Combine then with a thinner syrup for more flavor combinations. Try hazelnut or peppermint syrup with chocolate sauce or vanilla syrup with caramel sauce. You can even use these on top of ice cream or cheesecake. You could also use them to make hot chocolate even more decadent. Quick tip: If you want all three flavors, check Amazon. You can get a package with all three for less than it’d cost to buy all three individually. If you find that you love one particular flavor, you can get even bigger bottles or packages of two to save money. Ghirardelli White Chocolate: Reviews are split on this one on Amazon, it seems, so beware. People who used it in coffee loved it (so you may too, and coffee is the reason it’s included in this list), but if you’re hoping to let this one multi-task as a dessert topping, you may be disappointed. 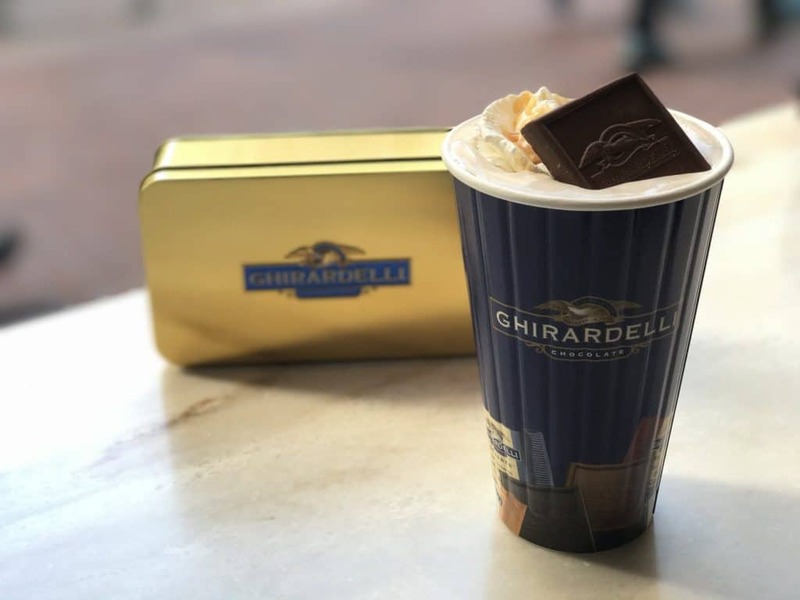 Ghirardelli Chocolate: Rich, sweet, and ready for any kind of coffee beverage you want to throw its way, this sauce is sweetened with sugar and fructose. If you always like mixing things up with your coffee to create new and unusual flavors, you’ll love the variety you can get at home with these syrups. Torani Salted Caramel: Enjoy this alone or add it to some chocolate sauce in your coffee. Sonoma Syrup Company Organic Lavender Simple Syrup: Try mixing it in with some honey for a delicious, unusual drink. It’s even better with cream (and even better than that if the cream has been heated up and frothed). Torani Gingerbread Syrup: Use this one alone or mixed with chocolate sauce (it’s surprisingly good!) during the holidays or any day you’d like a warm, cozy beverage. Torani Coconut Syrup: Mix this one with caramel or chocolate for a summertime treat. Torani Pumpkin Pie Syrup: Recreate a Starbucks superstar drink at home. Monin Pistachio Syrup: This doesn’t sound like it would work well, but thousands of people who tried pistachio iced coffee from Dunkin’ Donuts in 2016 would probably beg to differ. Add cream and enjoy this nutty, fruity concoction. 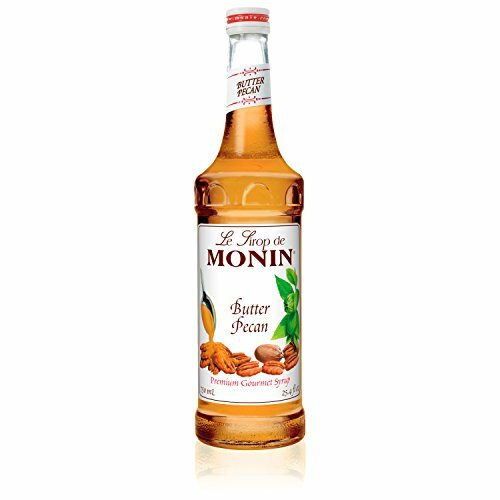 Monin Butter Pecan Syrup: This is especially good in iced coffee with cream. Get ice cream decadence with a jolt of caffeine. Torani Italian Eggnog Syrup: You might not be able to get or keep eggnog all year, but the syrup should get you close to your favorite holiday coffee drink if you have a craving some other time of the year. Torani Sugar-Free Vanilla: This has over 2500 reviews on Amazon and an average of 4.3 stars. Add it to your morning coffee for a calorie-free sweet drink. DaVinci Sugar-Free Original Vanilla Syrup: I had to include multiples of the same flavor because for some, one brand’s vanilla is superior to another brand’s vanilla. They’re all the best coffee syrups for flavored coffee fans in general, but some people will have a preference for one over the other. This one has fewer reviews and 4.2 stars on Amazon. DaVinci Sugar-Free Caramel Syrup: This has the same buttery sweet flavor profile as the regular caramel syrup made with sugar. It has a 4.6-star rating with over 600 reviews on Amazon. Torani Sugar-Free Salted Caramel Syrup: Salted caramel? It’s good year-round but it seems to be a holiday staple (especially when combined with chocolate). There are over 2000 reviews of this stuff on Amazon and it still has a 4.3-star rating. First, you get the sweet, buttery caramel. Then comes the salted kick at the end. It’s a fun ride for your taste buds. DaVinci’s sugar-free vanilla lineup. People tend to like the French vanilla version better than the regular sugar-free vanilla one. Torani Sugar-Free Classic Caramel Syrup: Here’s another flavor repeat, but from a different brand. It’s got a buttery caramel flavor without the sugar. 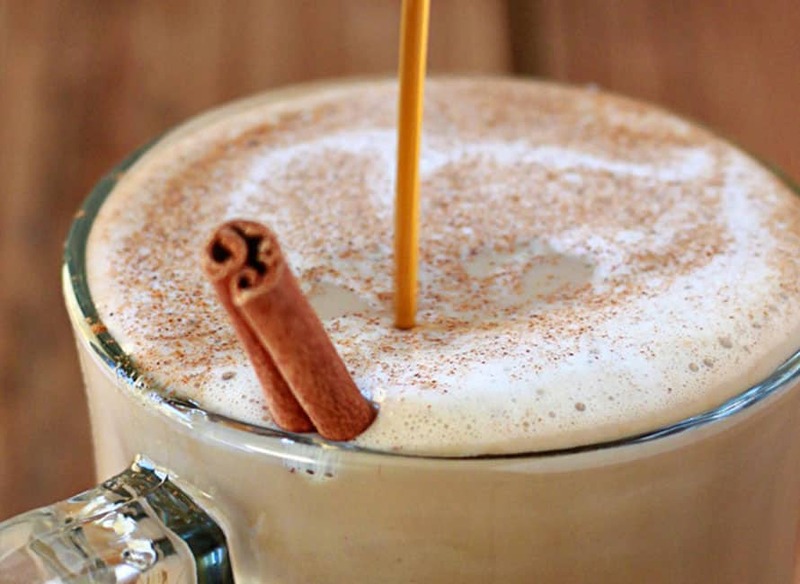 Torani Sugar-Free Cinnamon Vanilla Syrup: During the colder months, there’s something special about a combination of cinnamon and vanilla, and this combination supplies coziness in a mug without any sugar or calories. It gets a 4.3 rating on the Torani site with over 100 reviews. Torani Sugar-Free Brown Sugar Cinnamon Syrup: This one doesn’t the highest ratings of all the coffee syrups (4.0-star average with just under 170 reviews), but it’s worth noting because it’s another one of those unusual flavors that blends so well with coffee but is rarely thought of. Torani Sugar-Free White Chocolate Syrup: If you can’t do the Ghirardelli white chocolate sauce, this one from Torani might save the day for you. There aren’t a lot of sugar-free white chocolate syrup options out there for coffee lovers. When you’re just setting up your coffee counter at home, start with one of the flavors you find yourself gravitating toward most often when you visit the coffee shops. Once those are stocked, have fun! Buying a ton of different coffee syrups (even if they are the best coffee syrups for flavored coffee fans!) can be expensive, so you may not want to buy them all at once. Or you may have the budget but storage would be an issue. To narrow down your options, think about the other ways you might like to use your coffee syrup. Ice cream or lattes? Drizzled on desserts or in your sodas? Which of the flavored syrups do you think you’d use in the most ways? When given a list of the best coffee syrups, my first impulse is to buy all of the ones that sound good right away. That’s not the best way to go about it. When I slow down and pace myself, I also factor in how the seasons affect how I drink my coffee. Which syrups would you most enjoy in iced drinks? Should you hold off on the pumpkin pie and gingerbread until fall and winter? Also, be sure to shop around. Amazon’s often got the best deals, but you might be lucky enough to find a coupon to a store that sells just the syrup or set of syrups you’re interested in buying. Most of the brands here aren’t that difficult to find, though some flavors may be less likely to show up on grocery store shelves than others. When you’re stocking your coffee bar, looking for deals may not be the first thing that comes to mind. However, you can still save money on small things, like bottles of coffee syrup, with a little research.